Chameleon of the Arduino™ Compatible world. Almost all of the pins can be redefined. You can change the pins to fit your project. Press and hold the PRG button while pressing and releasing the RESET button, then release the PRG button. This causes the Fubarino SD to enter programming mode. You must do this before you upload a new sketch from MPIDE. 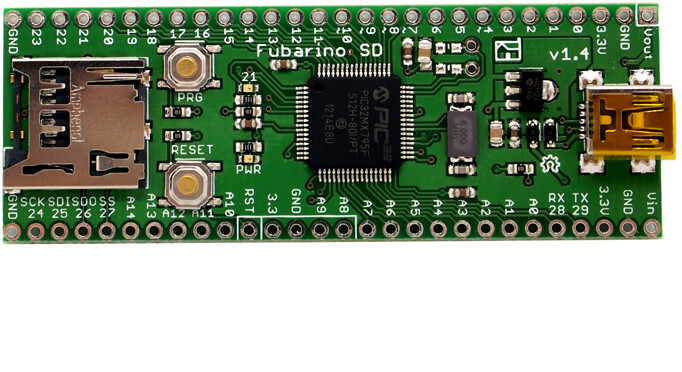 The Fubarino SD hardware is licensed under the Solderpad Hardware License v0.5. All MPIDE source code is licensed under GPL or other open source software licenses. Fubarino SD was designed by Brian Schmalz (from Schmalz Haus LLC) and Rick Anderson (from Fubar Labs). 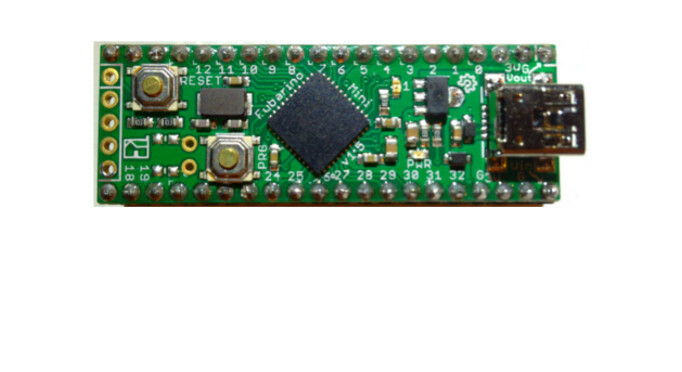 Both are also on the chipKIT/MPIDE development team.